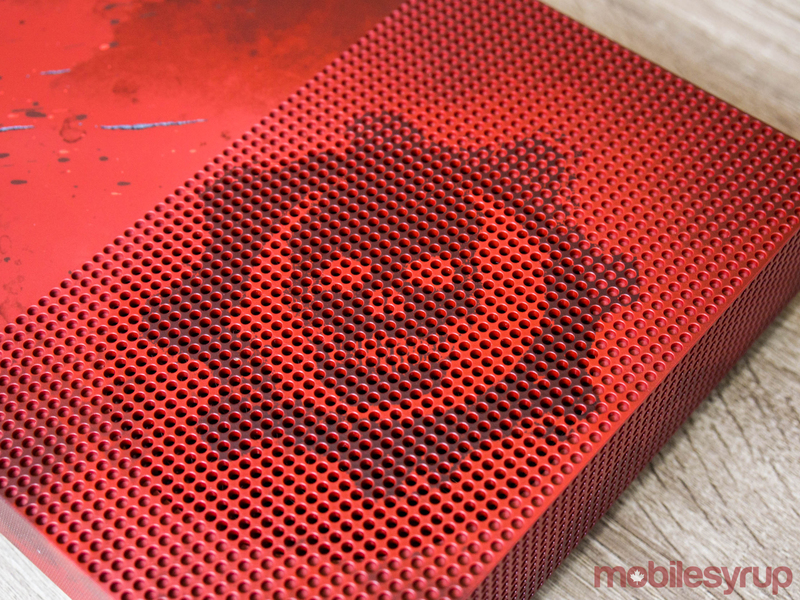 Ahead of the launch of Gears of War 4, the first entry in the franchise developed by Vancouver-based The Coalition, Microsoft sent us the Gears of War 4 limited edition Xbox One S bundle to check out. 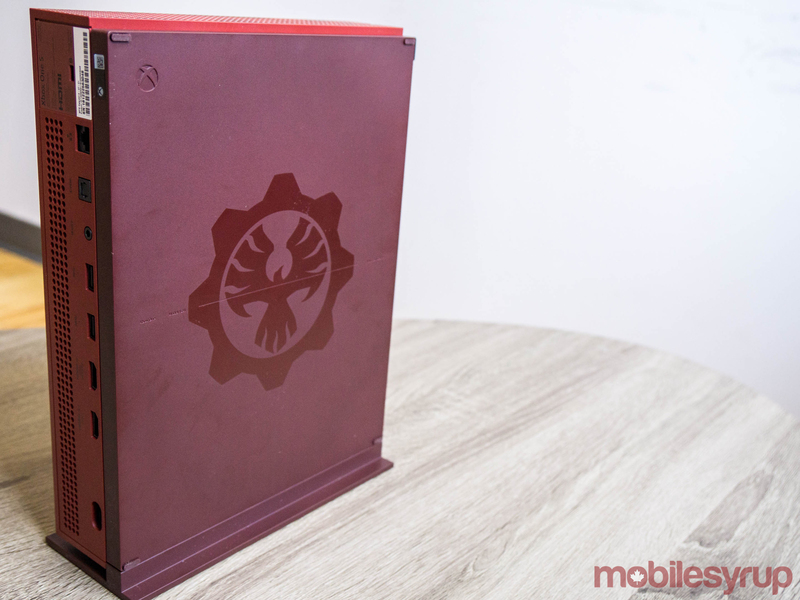 Priced at $549.99 CAD, the bundle includes a 2TB Xbox One S console with custom Crimson Omen paint job, one matching Xbox One controller and Gears of War 4: Ultimate Edition. 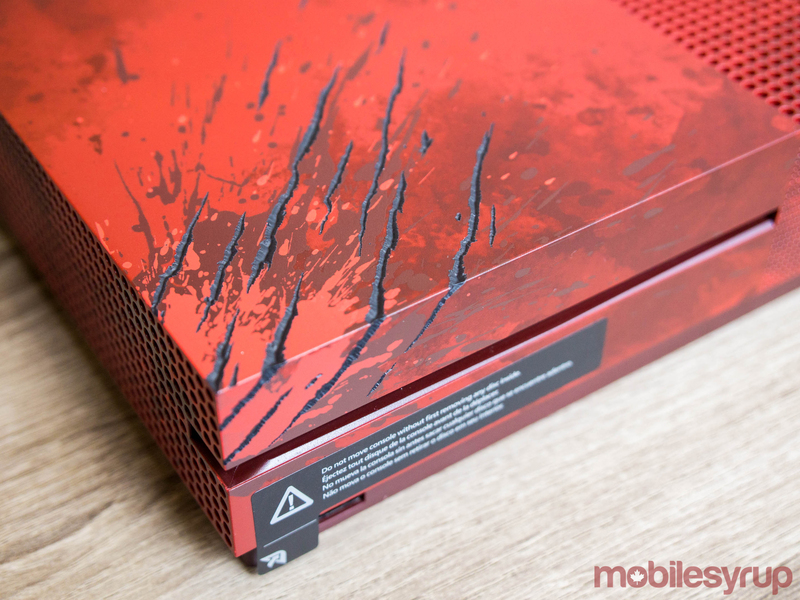 Like the Robot White Xbox One S currently available on store shelves, the Crimson Omen Xbox One S is 40 percent smaller than the original Xbox One and adds support for 4K and HDR video output. 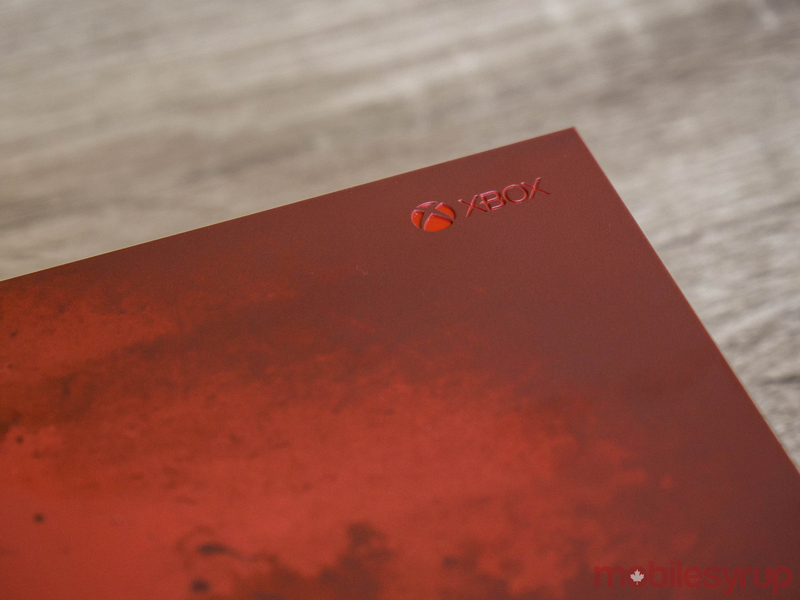 Gears of War 4 is one of the first Xbox One titles to take advantage of the Xbox One S’s HDR output capabilities, so those who have a TV that supports the tech will be able to enjoy a version of the game that features more luminous and richer colours. 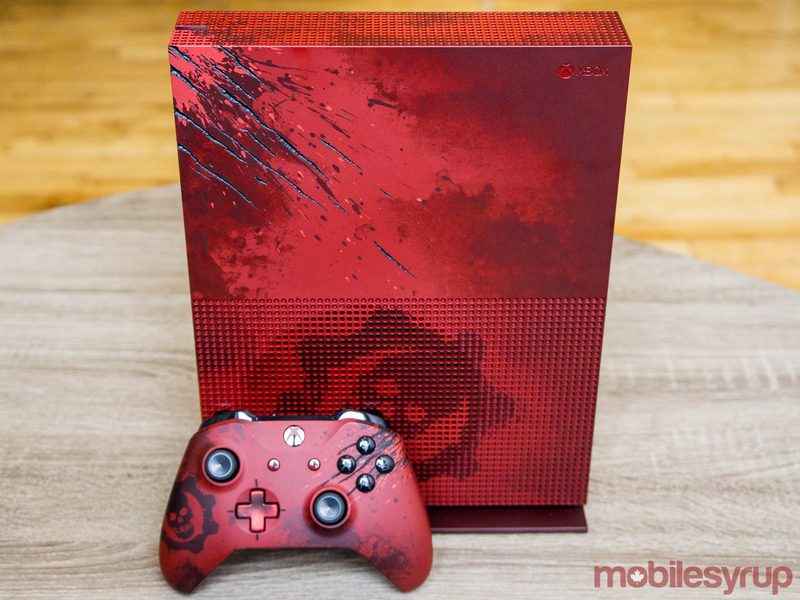 This is also the first Xbox One S model to feature a custom paint job. 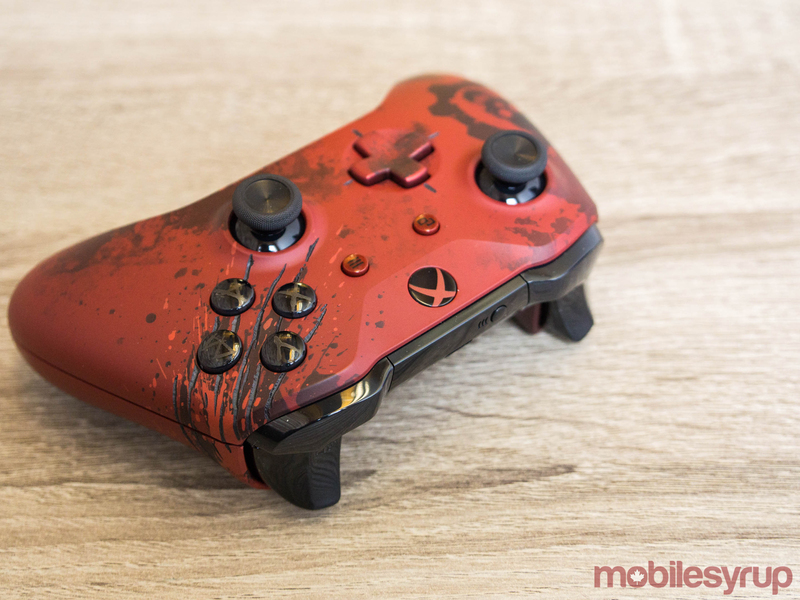 Speaking of the paint job, I wasn’t a fan of the look when I first saw pictures of it online, but since seeing the console in person, I’ve grown to like it. Yeah, it’s garish and over the top, but the build quality is top notch. 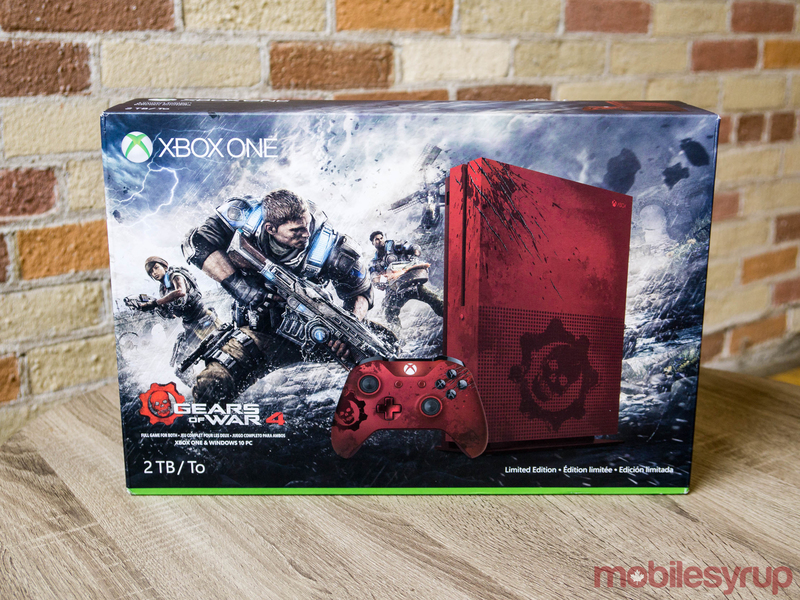 Moving on, Gears of War 4: Ultimate Edition, valued at $129.99, includes the base game, the game’s season pass and a number of in-game character and weapon skins. In addition, the Ultimate Edition unlocks four days before the game’s official October 11th release date. Gears 4’s season pass is interesting insofar as it does things a bit differently from the season passes we’ve seen release alongside other high-budget video games. Like with most multiplayer shooters, The Coalition will release new multiplayer maps in the weeks and months following the game’s initial release. To avoid splitting the game’s multiplayer community, however, these maps will be free-to-play as long as they’re in the game’s current map pool. By contrast, season pass holders will be able to continue playing on all of the game’s maps in private matches. 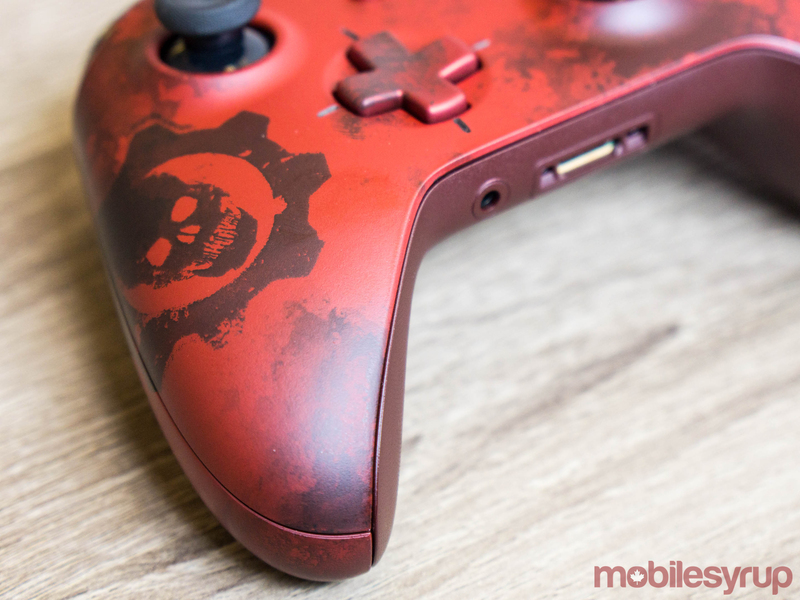 Expect to see full impressions of Gears of War 4 on MobileSyrup later this week.